The Iranian Americans premiered December 2012. The underreported history of a group of immigrants that find refuge in the U.S.
Filmed around the United States, The Iranian Americans chronicles the underreported history of a group of immigrants finding refuge, overcoming adversity and ultimately creating new lives in the United States. With Iran in the news virtually every day, many Americans have little knowledge of the story of the hundreds of thousands of Iranians who live here in the US. An Iranian American family celebrates Thanksgiving. Courtesy of the Goshtasby family. The Iranian story begins more than two millennia ago in the Middle East, in a land that would come to be called Persia. They built an empire that stretched from North Africa to India, from the Caspian to the Red Sea. A people of diverse ethnicities and faiths, they developed rich traditions that endured centuries of migrations and conquests. In the second half of the 20th century, their nation, now known as Iran, was racked by political and religious upheaval and ultimately revolution. In 1979, the revolution thrust Ayatollah Khomeini into power, which began an era where Islamic law ruled and dissent was not tolerated. From this, tens of thousands of Iranians left their homeland for the United States, a country they would come to call home. While Iranians had been immigrating to America in small numbers for decades, primarily for education, The Iranian Americans is an account of displacement highlighted by the massive 1979 migration. It is told through the eyes of more than 25 Iranians who were uprooted from their Middle Eastern heritage and had to build completely new lives in the United States. 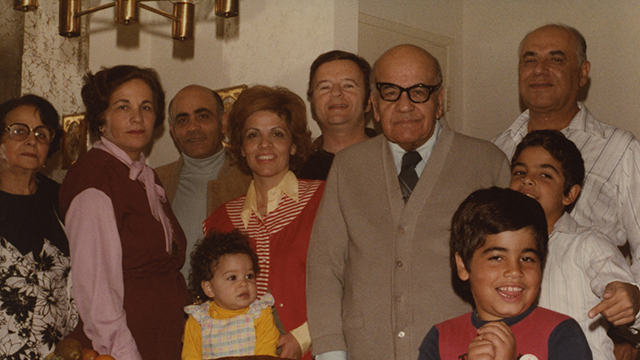 Iranian Americans, also referred to as Persian Americans, who are featured in the documentary come from diverse backgrounds, including educators, politicians, diplomats, scientists, comedians, bankers and writers. The Iranian Americans was directed and produced by Andrew Goldberg, of Two Cats Productions in New York. The film was produced by Sara Goldblatt, edited by Jane Wagner and narrated by Martha Teichner.